Welcome to the East Coast Horse community! Get Sunnyside Open Horse Show news and info! 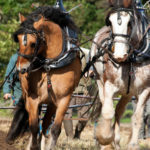 Connect with local horse farms & stables, riding lessons, breeders, trainers, feed stores and saddle shops in your area. Are any riding camps for kids nearby? What tack shops are within an hour’s drive? Where can I find horseback riding lessons near me? Who has horse-quality hay for sale by the bale? Where are the closest horse trailer dealers? If you have similar questions, you’re in the right place. 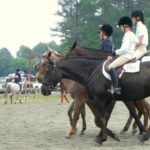 Discover horse, pony, mini and mule resources up and down the Eastern Seaboard that work to support our equestrian life. Tell us about your services! List your service in our Horse Farm & Business Directory. It’s free and easy. 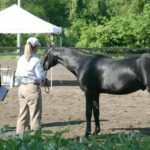 We feature horse farms, boarding barns, trainers, instructors, trailer dealers, tack vendors, farriers, vets – all businesses that play a role in the horse industry. Join our growing network, share your information here! Do your days begin and end with horses? Us, too. We visit horse farms and facilities located along the East Coast. We get to know the people behind the reins, hay bales and pitchforks and present their information to you, first-hand. Take a look at what’s in your region, and connect with outstanding mule, pony and horse farms and associated services. 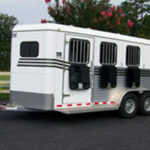 Locate new or used horse trailers for sale on the East Coast. Our directory of trailer dealers and manufacturers can help you outfit every breed from draft horses to minis, or have one custom built. Get tips and info on trailer parts and accessories, different types of trailers, towing, trailer safety and basic trailer training. Our growing library of free videos will supplement any lesson or training program. From cutting horse, reining and western pleasure, to classical dressage, show jumping, driving or schooling the horse in-hand − we present the best horse training and riding videos available on the web, organized by topic and discipline. Buying or selling horse gear? Check us out! We welcome local tack shops, saddle makers and repair services to list their services in our Farm & Business Directory. 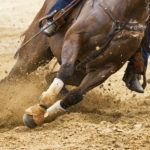 Stay on top of East Coast horse shows, events, news and views. Subscribe to our blog to receive regular updates: Get a look at regional equestrian news, find local and regional horse shows and clinics, catch up on horse health care, research and lifestyle. The East Coast is rich in equestrian resources. Complementing the horse and mule farms throughout the region is a great selection of show arenas, breeding and training facilities, horseback riding trails and more. Find equestrian colleges, and where to go riding on the beach or countryside. Stay tuned for when local riders win top honors and reach hard-fought goals! We hope you’ll be part of our tremendous family of equestrians.